You must stop dangerous uric acid levels. Gout flare ups get worse and joints get permanent damage. See worse dangers when uric acid levels affect organs. Joint inflammation brings pain to gouty arthritis sufferers. 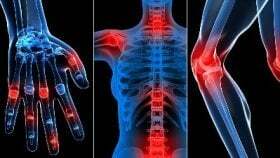 Stopping joint pain is easy. Learn why swelling & pain happen, then learn to stop painful swelling. Uric acid causes gout pain through a 4 step process. If you think it is sharp uric acid crystals, you are wrong. See real dangers of uric acid in the body.